invited me to participate in their Project Design Series - Styling a Coffee Table. I also knew there was no way of avoiding it - I would have to out myself! The key to keeping neutrals interesting is lots of varied textures! Wood, concrete, glass, greenery, flowers, pottery, shiny, matte, smooth, rough. can't be beat. Here are my instructions, if you've never tried it you'll be hooked! it was a simple Ikea DIY a few years ago. A pretty box to hide the remotes is a must! 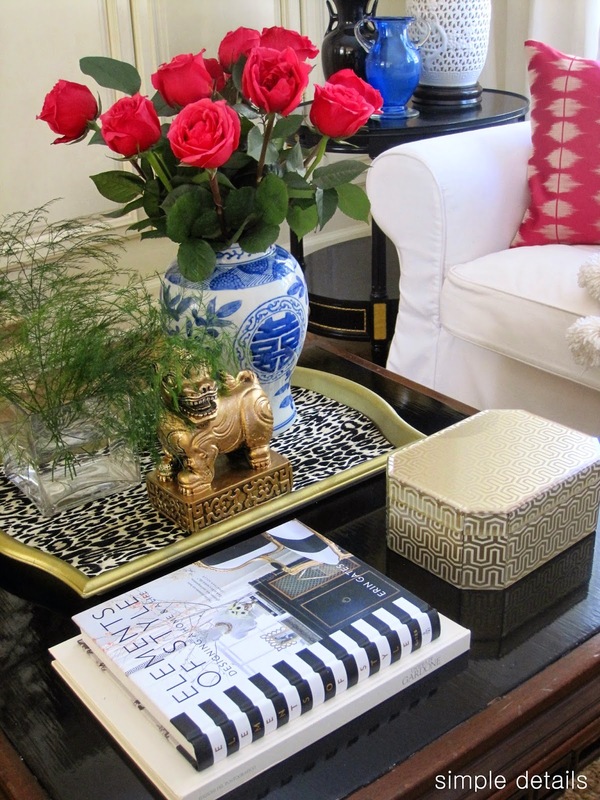 the roses (I used the same on the first coffee table, too). of luck and used this is faux greenery and floral stem from Hobby Lobby. And a huge thank you to Cindy and Mary Ann for such a great idea! Great tips and all three are stunning. Love all three and the creative coffee references. The vase with rose filler is genius! All colorful and so much fun! Gorgeous and love the idea of creating sections, kind of takes the stress out when you think of doing it in small stages/steps, each one is so pretty! I'll take a venti White Mocha with whip, please! Creative post, friend. Pretty styling! 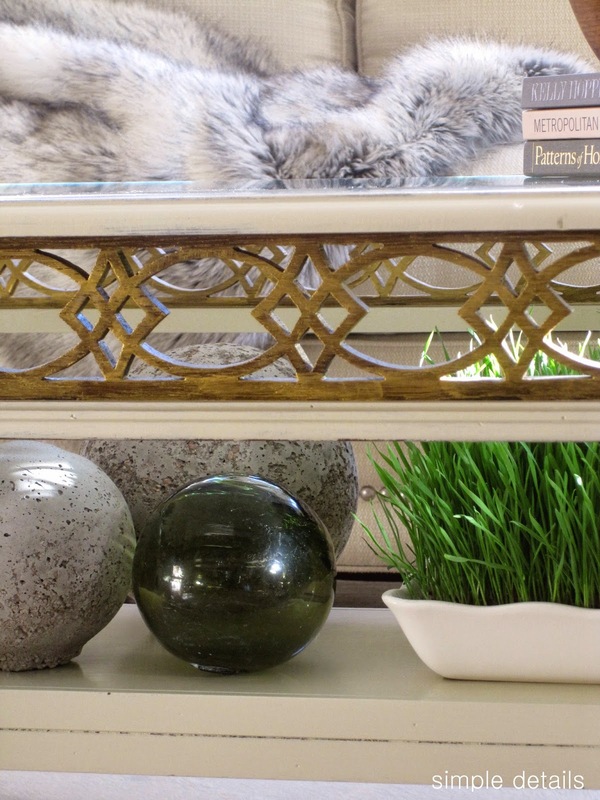 Your thrift store finds always look like a million dollars! You crack me up with all of your coffee tables! I have the same issue with chairs - total hoarder. Anyway, each one is more beautifully styled than the next. Unbelievable how you are such a fabulous thrifter! I love your tips Pam - the height and texture combinations you put together are so good! And such pretty coffee tables! Just gorgeous, Pam! I love the way you can put it all together!! And your use of color - fantastic! Just one question though....where do you put your feet?!? So pretty! I always love the touches of black in your room. I wish you could work your magic in my living room. It's pretty, but needs something! You are so funny! Where do you keep all these coffee tables? Any who...they all look great! Love the stunning details! Your styling is on point. Great tips too!! 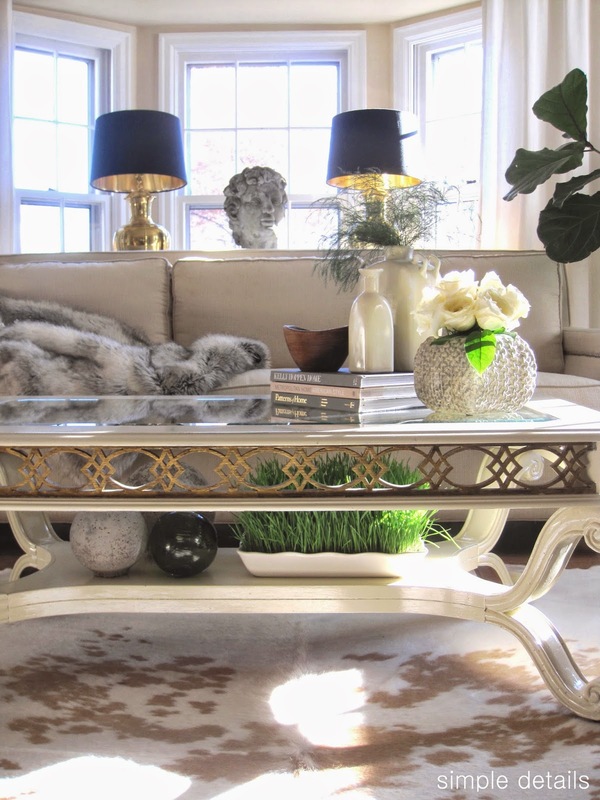 Pam I adore all of your looks with your various and oh so interesting coffee tables! I am definitely making the stone garden globes this spring!! Have also been on the lookout for an interesting foo dog for the longest time! 3 beautifully styled tables??? Leave it to you to go above and beyond! I can't choose a favorite, but I love the spheres you brought in for the first one! Nice job, Pam. Thanks for some great new ideas! You are so creative!!! Love that they have different names! I feel like I want to reach through the computer screen and touch all the fun objects...and the wheat grass looks so fresh on this foggy day here in SF. Wonderful work and thanks for participating!!! Such beautiful styling Pam. I simply can't choose a favorite, so I'll take the White Mocha and an Espresso and use my afternoon treat receipt for the Latte! I love all of your cool and varied accessories. Beautiful styling and I love that everything is done on a budget. 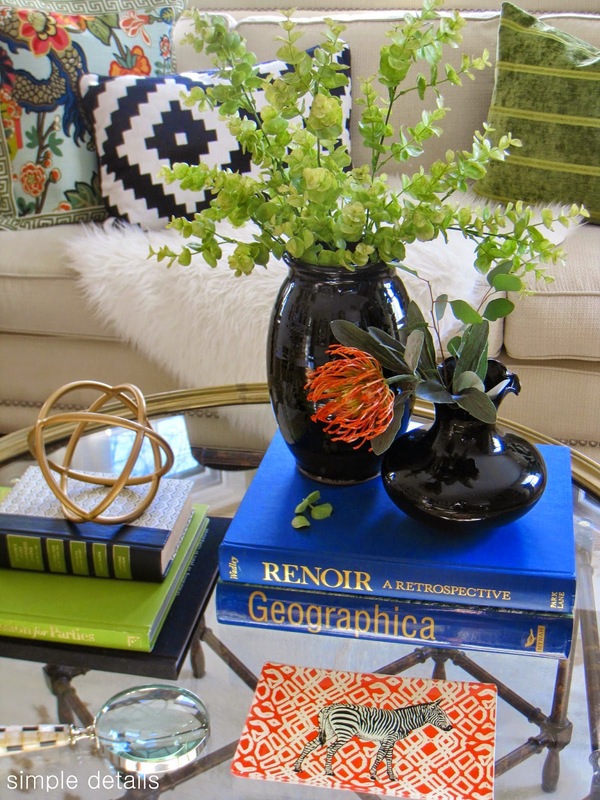 Those spray painted vases are fab! Design books for $1!!! Yay! Love your arrangements!! And your advice is right on! OMG..you are a master at accessorizing! I couldn't possibly pick a favorite. Each and every vignette has it's own personality. 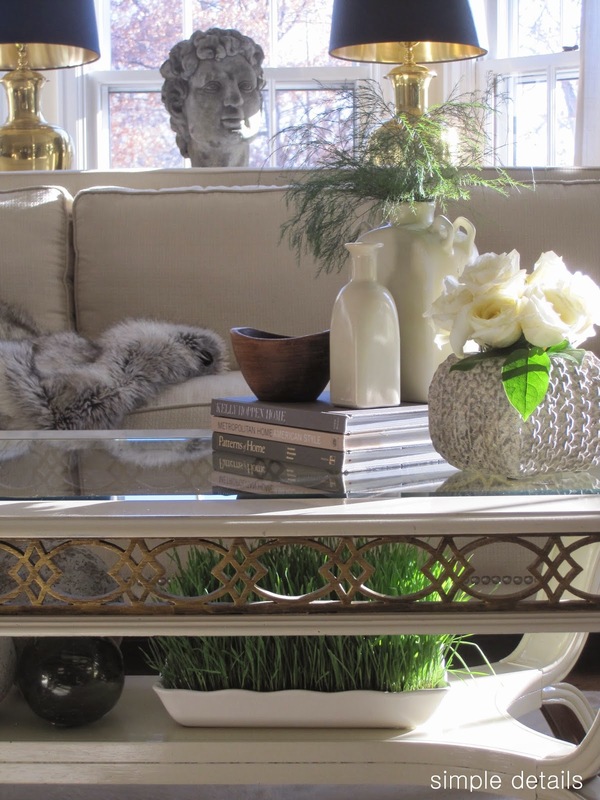 Seriously you should teach a class on how to style your coffee table on a budget. They need you on HGTV! i hope they are watching. You need to pin these on our board! If you don't I will!! So fun that you have named your tables! I think you win the prize in this particular show and tell. At least, yours are the most to my liking. All the tables are wonderful! 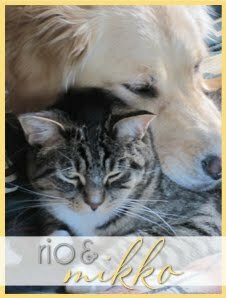 I found you from Emily A. Clark's blog and am so glad I did! Fabulous ideas. 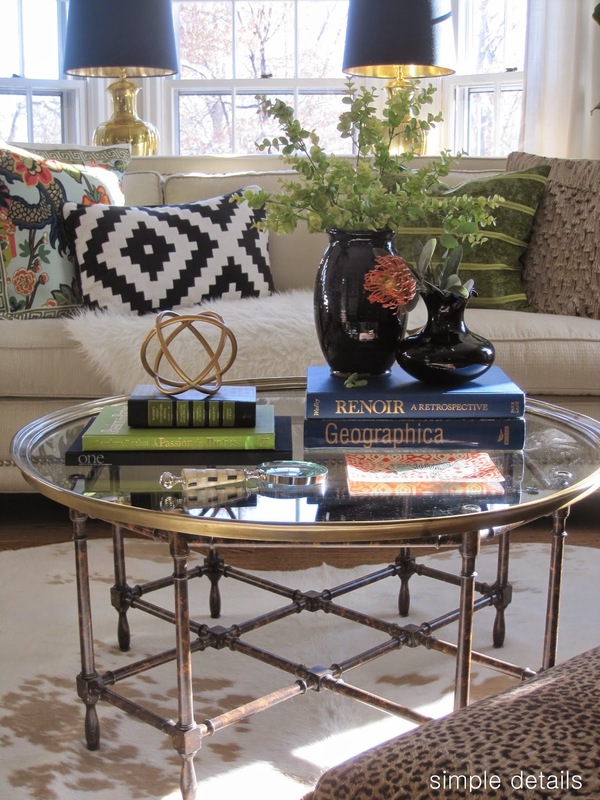 The round coffee table is gorgeous. I've been looking for just the right round one for ages. Would you mind sharing your source? Thanks! 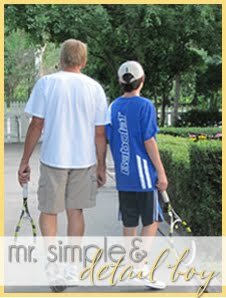 so many wonderful options and great advice as well. Kind of love the last one the best, but to be honest. I loved them all! It's all beautiful, Pam! You definitely have "the touch"! Really glad I found your blog. The posts are really inspiring and full of useful information. You must have a few coffee tables hanging around! Loved your last post too. Pam, your tables are always exquisite the total package of a stunning table with the most beautiful accessories that adorn it. 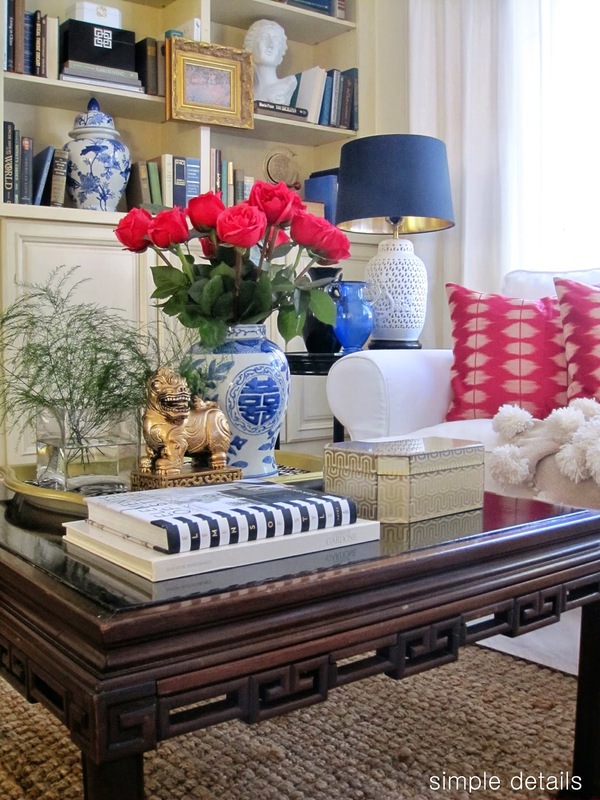 I love how you so impeccably mix all the right textures, shapes, and color into your vignettes. Have a great weekend! every single one is fabulous! you have such amazing style and skill. You are my kind of gal!!! I too have several coffee tables myself but my worst offense has to be way too many lamps!!! I agree with all the other commenters, you nailed this Design Project. Look forward to following you around!!! 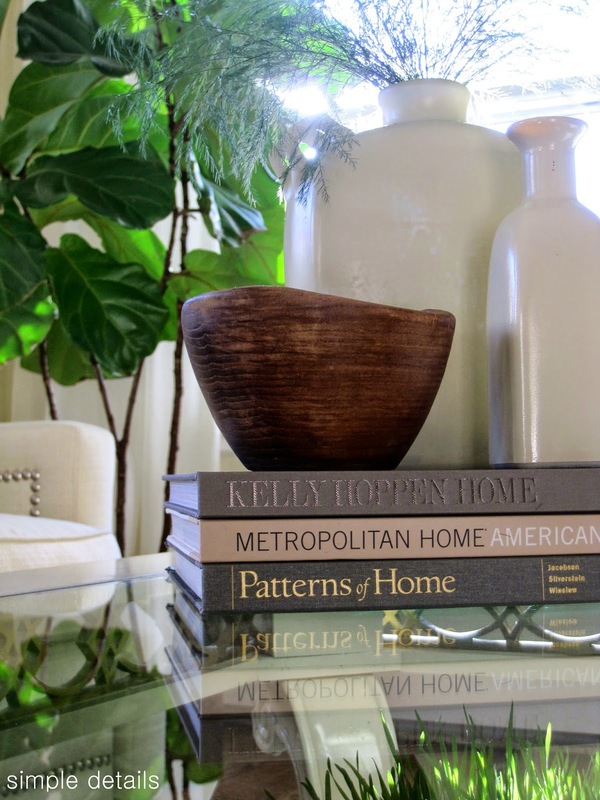 Beautifully styled and you find the best Craig's List finds. I love the round table. MY first VISIT and I will be BACK! Love YOU and YOUR PEARLS..................I just bought pearls for my TAXIDERMY ELK! Such great tips - and gorgeous colors! Love them all! 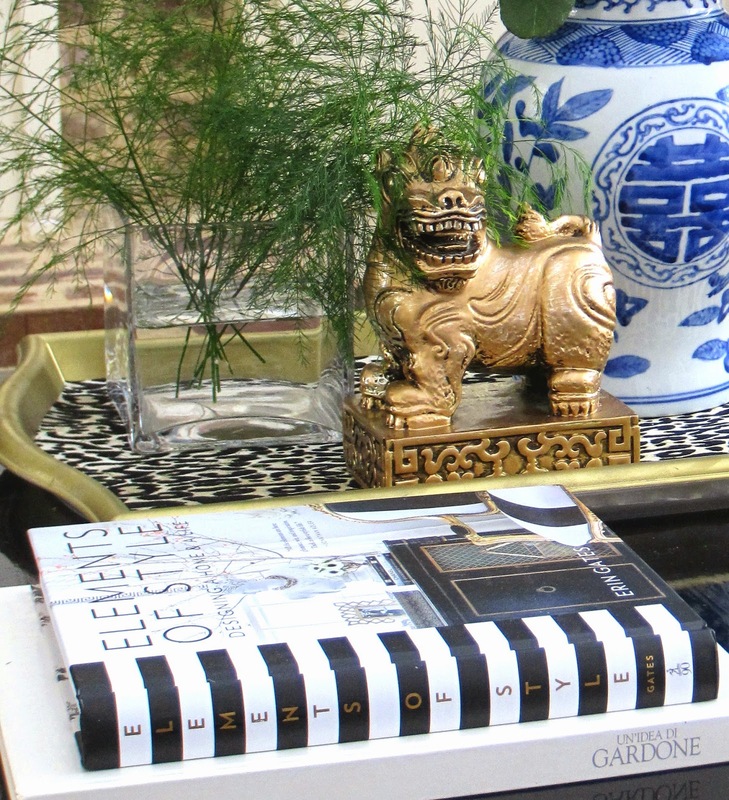 Love your tables and love your stylings. Can't help but smile when I think that you change out your coffee tables also! It looks like your interesting flower (red) is a blood lily. I grow them in my garden. They are spectacular. Love your style and your craigslist addiction. I can so relate, although i haven't developed a coffee table fetish yet hahaha i'd love to know where you keep the extras. Thanks for the tip on wheat grass, i haven't tried growing it before. 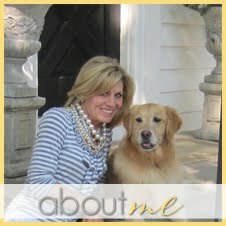 love it all and great tips Pam! All so beautiful! What great styling you have! !